A smoky veggie hash with potatoes, squash, peppers, mushrooms, and kale topped with fried eggs (to which I also added bacon). I might have to try and replicate something like this for lunch one of these days. SO GOOD. The Chopped Thai Salad from Pinch of Yum we tried last week was really good and we'd definitely make it again. Wonder if I could put a fried egg on it...? Saturday - date night because I'm turning 40 this week OMG. I completely agree- a fried egg over anything is good... and that dish looks amazing!! totally with you on the egg thing! especially on leftover veggies and even atop our homemade pizzas. You can put an egg on anything!! 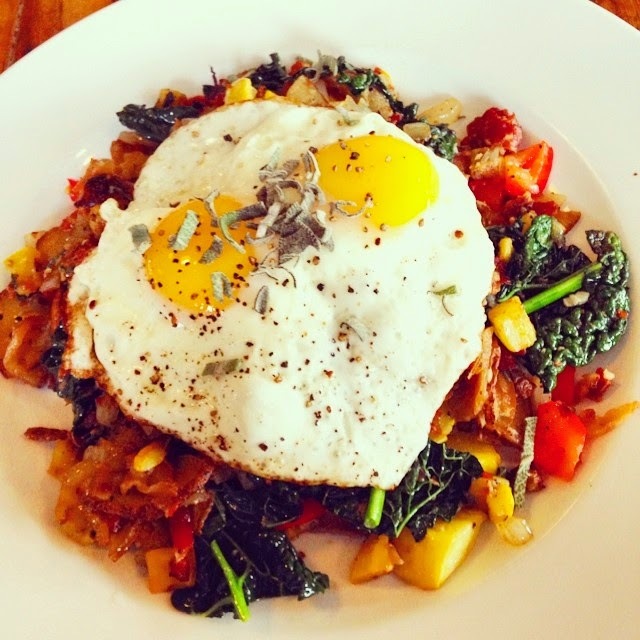 The veggie hash sounds like something I would love! Your meals look delicious! I do have a bit of a runny egg fear...still working on it! But that hash looks so good!